Tyler is an eighth year Physical and Health Education teacher for Loudoun County Public Schools. He graduated from James Madison University in 2007 with his Bachelors in Kinesiology and Nutrition. On a daily basis he trains high school students in strength and conditioning, weight training, fitness circuit exercising and team sports. Furthermore, he educates these young minds in nutrition, wellness and mental and emotional health when directly related to a healthy active lifestyle. 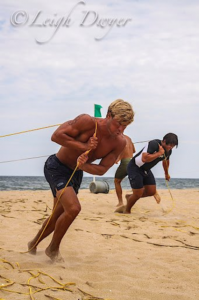 In addition, Tyler has run a surf rescue beach patrol in South Bethany Delaware since 2003 with a current rank of 1st LT. His current patrol rank requires him to create and lead daily mandatory workouts for elite collegiate athletes. He is also required to instruct and certify all lifeguards in First Responder CPR, First Aid, AED and Oxygen Administration. With physical fitness being a prerequisite to surf rescue,e this occupation also facilitates a strong work ethic, heightened levels of responsibility, self-discipline and tough moral fiber. Tyler is an advocate for positive, whole health approaches that include physical, intellectual, social and emotional well-being. Tyler feels that by promoting self-esteem, increasing self-confidence and acting in healthful ways, you can work toward living life to its fullest potential. With an equal balance between structured exercise, guided nutrition and enabling role modeling, he possesses all necessary tools that will allow any individual to find success. 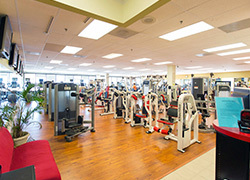 Where you are looking for a personal trainer for you or your child, individual stress relief, or complete transformation of a lifestyle, Tyler is dedicated to meeting your individual needs.